Austerity may be hitting some countries hard, but looking at certain EU funded projects, one would never know. 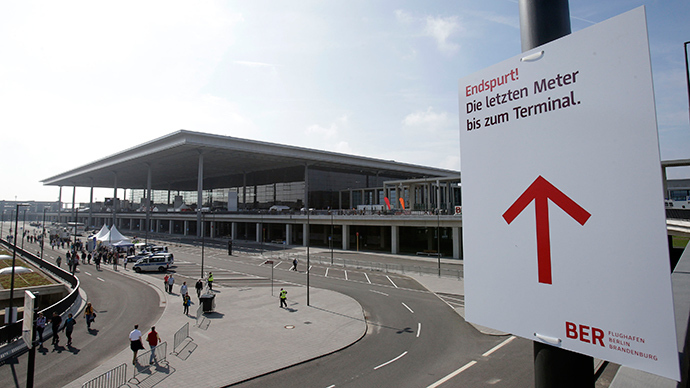 From Brandenburg Airport to Donkeypedia, these and other white elephants are flushing billions of taxpayer’s euros down the drain. Looking at some of the projects the EU has funded over the last decade, one would think the organization had limitless funds at its disposal. Millions across the continent are currently living in poverty following the fallout of the 2008 financial crisis. One in three Greeks is living below the poverty line, while the nation has an unemployment rate of nearly 30 percent. However, that figure is double amongst the country’s youth. Spain is not fairing much better, with almost a quarter of the working population unable to find a job. Despite pressing needs to address these problems, the EU has been lavishing billions of euros on extravagant projects, with poor oversight into what will happen to these schemes when completed. RT looks at six ‘white elephants’ the EU has funded, which are leaving taxpayers around the European Union thinking why this was ever built. Germany is known for its efficiency. The world beats a path to its doorstep to buy cars and hi-tech appliances. However, their renowned productivity doesn’t seem to have spread to the building of Berlin’s long awaited Brandenburg Airport. It was supposed to open in 2011, yet three years on, its runways still remain empty and not one passenger has passed through its terminals. The project has been short of funds and this problem was further confounded after Hartmut Mehdorn, the CEO of the new airport, said a further €1.1 billion ($1.25 billion) would be needed to complete the facility, which would bring the total cost to €5.5 billion ($6.26 billion), almost double its initial budget, according to Der Spiegel. The vice president of the operation, Rainer Bretschneider, said the German capital's new airport would be opened "in the second half of 2017,” Deutsche Welle reports. However, given the amount of problems the transportation hub has suffered, perhaps this date is looking slightly optimistic. A faulty fire safety system added to the delays. To compound matters, the man hired to oversee the system’s implementation didn’t have the correct engineering qualifications! It took eight years for someone to notice and fire him. The EU pledged €30 million ($34.1 million) in 2009 to help with the completion of the project, with the last tranche being paid in 2013, Der Spiegel reports. However, Brussels now wants to know why money was spent on extras such as elevated parking spaces to give VIP’s better access to the airport gates. The numerous setbacks cost Berlin Mayor Klaus Wowereit his job as he stepped down in December, two years before his term was due to end. He was also the head of the airport supervisory council, and was in charge of supervising the construction and opening of the facility. Berlin questions whether there is actually any need for the airport; the city already has two airports - Tegel and Schonefeld. Germans have sarcastically been calling the project not Flughafen (airport) but Fluchhafen (cursed-port). A diplomatic career certainly has its perks, with great living conditions and plenty of high profile connections. However, perhaps the best posting of the lot could be to the far-flung Pacific island of Vanuatu, with its endless, stunning beaches and relaxed, dolce vita lifestyle. The tiny island archipelago, located some 2,000 kilometers northeast of Brisbane, Australia, was the home to an EU mission of seven lucky diplomats, who also had the bonus of being some 15,700 kilometers distant from HQ in Brussels. A decision to maintain an EU diplomatic presence on the island was a strange and certainly costly decision. Only four nations, France, Australia, China and New Zealand have permanent embassy’s on the island, while from 2008 to 2013, the EU spent €23.2 million ($26.4 million) to help boost economic growth and to create jobs. From 2014 to 2020, a further €31 million ($35.3 million) has been earmarked for Vanuatu, according to the EU External Action website. According to the papers today, the EU dispatched 7 officials to Vanuatu to teach them cricket, as part of an £80m programme. How's that? The permanent diplomatic mission was finally shut down after 29 years at the end of 2013. However, it managed to spend $184,000 on teaching the locals how to play cricket… This was presided over by the charge d’affaires Robert de Raeve, a Belgian national, who after benefits were thrown in, took home a salary of around $200,000, while paying a paltry 15 percent tax. 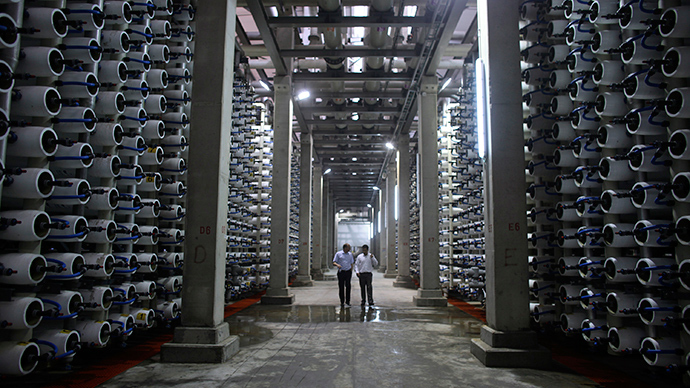 A desalination plant built in one of the driest areas of Europe would seem like a good idea. However, changes in the economic climate together with political mismanagement have made Europe’s largest desalination facility, built in Spain, one of the continent’s biggest white elephants. The project started in 2007, with the aim of being completed in 2009. Six years on, the plant has finally been finished. It is just lacking power, and perhaps more crucially customers to make the expensive facility viable. The project has already lost €55 million ($62.6 million) worth of EU funding because it wasn’t completed on time. This sum was to be provided by Europe as a subsidy to help fund the cost of the €300-million ($341-million) facility. It won’t receive this money until the plant is operational. Torrevieja, in the Alicante region of the country’s southeast, was chosen to build the second largest desalination facility in the world. It was part of a grand scheme to guarantee water supply to one of Spain’s booming growth areas. The aim was to provide two million cubic meters of fresh water per day, but interest dried up following the economic crisis in 2007. Since the crash, electricity prices have almost doubled, while water costs have remained the same – the lowest in Europe, according to Eurostat. The Spanish Association of Water Supply and Sanitation states that only 40 percent of the cost of desalinizing seawater is covered, rendering it unviable. “It’s incompatible to raise electricity prices without raising water prices,” said Miguel Ángel Sanz, a veteran of the country’s desalination industry. The need for the desalination plant to get up and running is pressing. The surrounding area is arid and water shortages are common. The new facility would provide enough water to supply the Murcia region and half the Alicante region. However, residents may have to wait a long time until the facility reaches full capacity. Tunnel vision: Does Lyon need underground link to Turin? It has been hailed as the final link in connecting Barcelona and Bucharest – a rail network spanning the continent. However, the Turin to Lyon tunnel is proving to be a headache for the EU, which has pumped billions into the project. Work began on the 57-kilometer tunnel in 2013, designed to link Lyon and Turin. The EU has agreed to provide around €3.4 billion ($3.87 billion) of the €8.5 billion ($9.6 billion) needed for construction costs. The overall cost for the project has risen to €26 billion ($29.6 billion), the Euractiv website reports. However, the project has proved unpopular with locals and environmentalists and Green MEP’s have managed to get the EU’s anti-fraud office, OLAF, to investigate the spiraling costs of the tunnel, with the French and Italian governments providing the rest. They see the project as a complete waste of taxpayer money. EU budget for transport infrastructure on the continent for 2014-2020 is €23.3 billion ($26.5 billion). 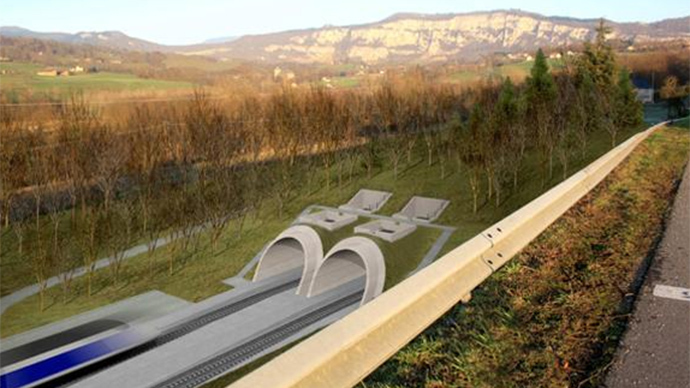 Opponents of the tunnel say it is a complete waste of European funds because an existing tunnel already exists that provides rapid transport through the Alps, and this transportation route is being used at 20 percent of potential capacity. "We do not want the Rhône Alpes and the Susa Valleys to look like those developing countries, where infrastructures built have never served any purpose ... except for benefiting their developers, and directly financed by European or international solidarity," Frassoni said, as reported by the European Greens website. The Santiago Bernabeu in Madrid and the Camp Nou in Barcelona are two of the world’s most famous sporting stadiums in the world. Hundreds of thousands of footballing ‘pilgrims’ travel from around the world to get a glimpse of these iconic grounds. However, it is unlikely the Reyno de Navarra Arena will ever achieve this status, or will even host an event. The arena, located in Pamplona, in the north of Spain, was approved for construction in 2008, as an anti-crisis measure by the Socialist government of Jose Luis Rodriguez Zapatero. It cost €58 million ($66 million) and can hold 10 thousand spectators. The city has a local basketball team, which has its own arena. Given that the team are not one of the leading lights of the sport in Spain, it is unlikely they would want to become tenants of the new facility, whose security and maintenance alone cost €250,000 a year ($284,000). "The demands and habits of the general public have changed due to the crisis," Angel Vazquez, a consultant for the project, told Spanish newspaper El País. Socialist party politician, Roberto Jimenez said, "If we could go back to 2008, nobody would have taken this decision (to go ahead with the build), we thought that the crisis would be over quickly," as reported by the Local. The local government has said it will not finance the costs of running the arena alone and is looking for private investors to help out. However, given Pamplona has a population of just under 200,000, it’s difficult to see how the arena can become profitable, and it looks as though it’s destined to become yet another white elephant. The EU has been involved in some wasteful projects, but this may trump the lot! The scheme involved a real life donkey visiting schools in the Netherlands and recording what it saw. Donkeypedia was part of a $9.9 million cultural project to get people to think about the similarities and differences of various European identities. It involved a real-life donkey called Asino trotting around various schools in the Netherlands, to meet school children and report the findings in a blog. Crop circles for Donkeypedia: Westerbork Camp art project: EU heritage. "Because of the way the EU's spending schemes are set up, bizarre or wasteful projects can receive funding, which never would have received money if subject only to national spending priorities."